Great build, I never thought of a DIL chip shaped table and now I have visions of resistor shaped pillows complete with color stripes and 3-4 legged tea cup holders shaped as TO52 transistors. I must learn to knit, NOW! I’m not even going to bother to show her, as the response is predictable enough! It’s awesome, though. Love the footstool, too. They made them, the most common example that jumps to mind is the UV erase versions of the OTP PIC chips that were popular in the 1990s. Prototyping for a one time programmable chip would be hard without a good emulator, so many OTP microcontrollers had a UV erase version for development, typically in a ceramic package with a gold lid and window. 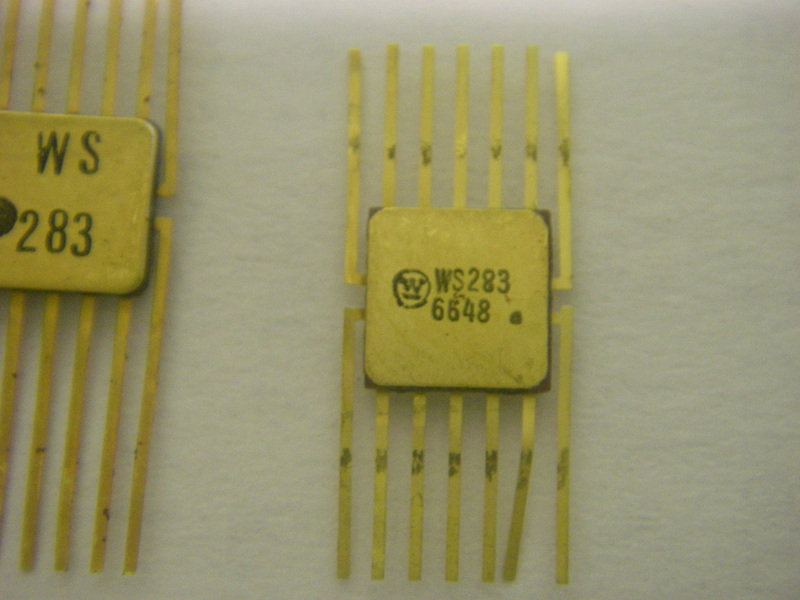 I have a number of 8 pin PICs with windows floating around, and even a couple tiny SMD chips with round windows covering almost their entire surface. The UV PICs were 8,14 or 18 pin – don’t think there were any 16 pin. Pedantic, surely not… next you’ll be telling me EPROMS didn’t have a real infinity mirrors in them… actually I suspect a gold sided brazed package might look pretty cool too. http://www.decadecounter.com/vta/pict14/at27c256r.jpg – arguably easier to make in to a table as well. I toyed with the idea of making them in to jewelry at one stage, but abandoned the notion…. DTL cufflinks would have pretty high geek cred however. 555 footstool, check, eprom coffee table, check, next on the list giant LED lamp (6′ high LED). I have the 18″ high thinkgeek table lamp, is that close enough? Can’t wait for a big red panic button footstool. Add a few to-220 chairs and maybe a bridge rectifier footstool… I feel a crowd funded geek furniture theme might be developing here… http://media.digikey.com/photos/Vishay%20Photos/D-34_PKG.jpg << Flip it over … its a foot stool. If you scale that up to where the center hole is large enough for a patio umbrella, will it be large enough for a table or will the top be a foot thick? someone drilled an infinitly deep hole in my eprom chip…. Now please someone make a giant Tek scope panel frame to put our flat TV into. This is not the way I remembered it. We always had a piece of tape over the window after we programmed it.